"I was pleased and highly recommend this hotel.2017-07-04"
"The hotel was old and showing signs of wear, but it was inexpensive. Our room was clean and suitable for our one-night stay. The furniture was worn but comfortable. All the employees I encountered were extremely friendly. Considering the price, I'd stay here again.2017-05-19"
"Reasonable rates. 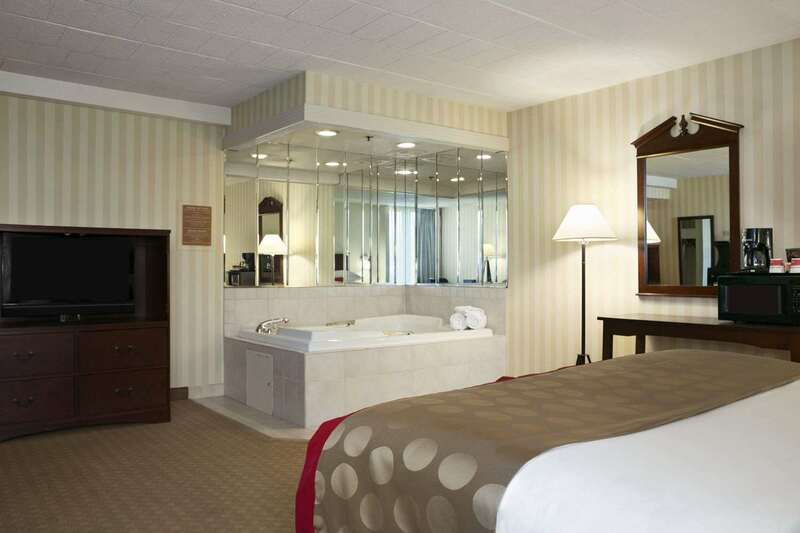 The hotel and room were clean and comfortable, and the staff was friendly and helpful. Great place to stay.2016-08-12"
"Excellent hotel for the price. The room was clean and spacious, and I liked being able to control the room temperature. Nice showerhead and good water pressure. The pool area was large, and a hot, made-to-order breakfast was included. Highly recommend.2016-04-25"
"Easy and convenient. The lobby was remodeled, but the room was dated. It had newer bedding and showers, but the look and feel was old. It was clean, though, and the hotel staff was friendly.2016-03-31"
"The room was nice, but my friend could smell dog; I didn't notice. The TV in our group's other room didn't work. The staff was extremely friendly and helpful, and the full breakfast was much better than we expected. I recommend this hotel.2015-11-02"
"The hotel needed updating. We were given an already-occupied room, and the check-in clerk seemed baffled about this could have happened. We got another room that was fine, and a card for 2 free drinks at the bar. The breakfast bar was great, with waffles and omelets. It was nice to have such a selection of breakfast food. No elevator.2015-08-10"
"Great hotel; well worth the stay. 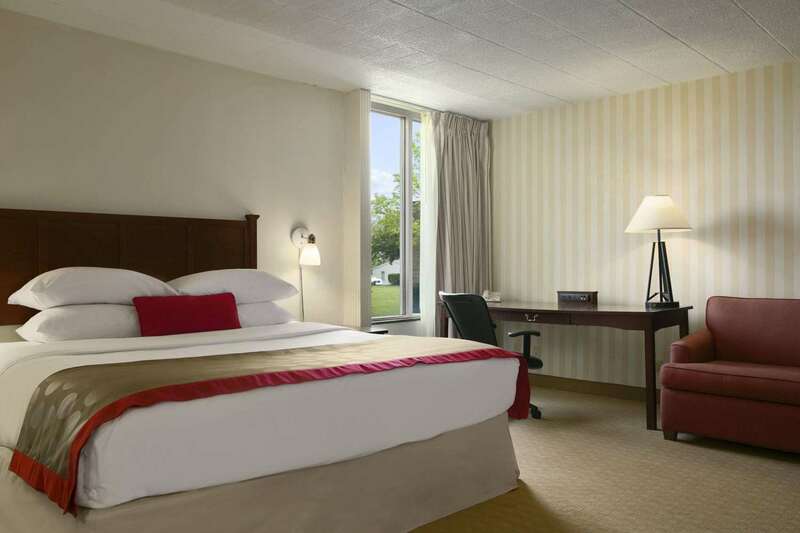 Nice room, but the TV channels were limited, and room service was expensive.2015-08-07"
"The hotel was clean, and the staff was excellent.2015-07-16"
"Exterior of the hotel needed better lighting. Staff was friendly and helpful, especially in the breakfast cafe. I'd definitely stay here again.2015-01-19"
Learn more about Greensburg Hotels & Motels in our Greensburg Hotels Guide.